As you get this issue of Postmarks in the mail, we’re moving into the final couple of months of our academic year here at Illinois. For some of our students, it brings graduation and an end to their time at Illinois. For others, it will mark another successful year behind them. At the same time things are beginning to wrap up for our current students, many of your sons and daughters are just now considering if orange and blue will be their college colors in the fall. 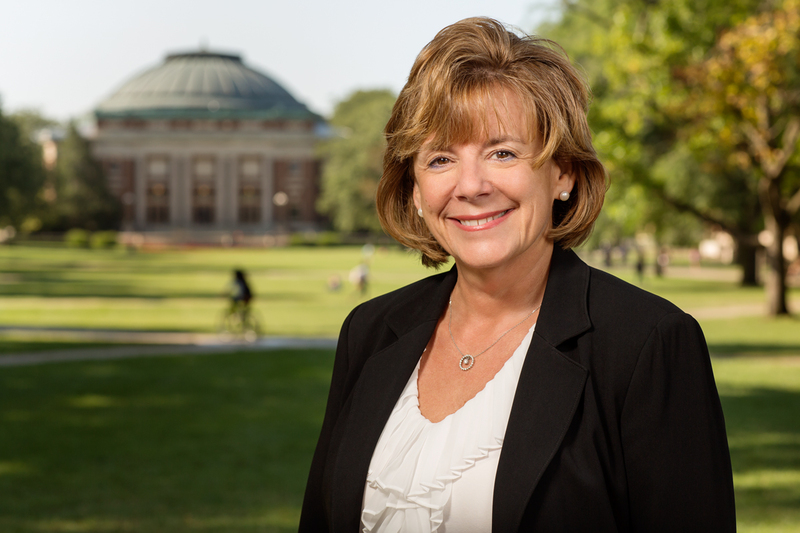 As the campus leader and as a longtime faculty member here, I truly believe Illinois offers transformational experiences in and out of the classroom. And I hope the stories you read in this issue help to show exactly what those words mean to the students who enroll here. But when I talk about what Illinois offers to parents, I also speak from personal experience. I have two daughters – one a junior here at Illinois and the other a high school senior who has been going through the college application process this year. I know firsthand what it means to watch your children begin to make decisions and take steps that will shape who they will become and what they will achieve in their lives and careers. It’s exciting. It’s a little scary. And it really makes you think very carefully about whether the college they choose is going to provide the support, the environment and the educational excellence that will give them the very best chance to grow and succeed. For our older daughter, the answer has been a resounding “yes!” That is exactly what I would expect from Illinois as the interim chancellor and also just what I hoped for as a proud parent. We don’t know yet what choice our younger daughter will make. Of course we want her to pick the place that will be the best fit for what she wants to achieve. Just like so many of you, with spring acceptance deadlines approaching, we’re looking carefully at all the options. If you too are still trying to decide, I encourage you to visit our campus. Ask us questions. Read about us. Compare opportunities here with other great universities. Look at our freshmen retention and graduation rates, find out what companies recruit here and learn about the quality of the faculty who teach here. And when you have done all that, I’m confident you’ll find that Illinois stands out. For nearly 150 years now, the University of Illinois at Urbana-Champaign has been enrolling, educating and graduating the best and brightest students from around the world. And we’re always excited to welcome new members to this family.